Tekka Mall is no more. It has been renamed “The Verge”. As I stood there watching the workers remove the old name and replacing it with the new one, I was saddened that yet another part of our heritage is being consigned to the memory bin. Soon Tekka Market, which is just across the road and currently undergoing a $12.9m facelift, will also be renamed. 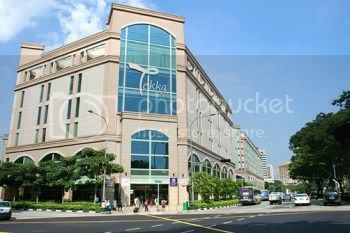 Tekka, meaning “foot of the bamboos” in Hokkien, is along Serangoon Road in Little India. 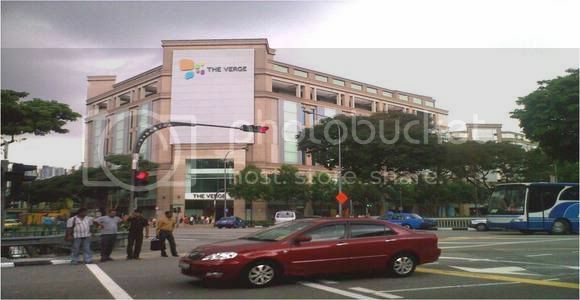 The newly-named The Verge has two buildings. The main building will be refashioned into an IT, lifestyle and F&B hub while the other, called Chill @ The Verge, is targeted at the younger set with its entertainment and F&B outlets. As the workers took down the old “Tekka” signboard, no one seems to pay it any mind. One can’t blame them, seeing how so much change is going on in Singapore at the moment. Go anywhere nowadays and you will inevitably come across a construction site, or an HDB upgrading programme being carried out, or some road works being done – downtown or in the heartlands. From the ION in Orchard, the two Integrated Resorts, the refurbishment of Tekka Mall and Tekka Market, the “expunging” of Seletar Airbase and its quaint colonial era houses, to the soon-to-disappear Kampong Buangkok, Singapore seems to be in a frenetic race to install the new and remove the old. While Singapore chases after economic development and all that it brings, such as jobs, one wonders if this should be at the expense of erasing our history. The recent debate over Minister Mentor Lee’s remarks on learning Chinese, or Mandarin, and the gradual eradication of our dialects and their attending traditions, cultures and history, shows that Singapore is undergoing more than just physical changes. They are emotional ones too. What effect do all these have on the national psyche of our people, I wonder. Would we end up being good in building businesses and making money, but have no roots at all to our past? That things in Singapore have to always be new and shiny, and anything that taints this image should – nah, must – be dismantled and replaced? Tekka Market has been around for decades. The older folks, especially, have fond memories of the place. Indeed, my grandparents and parents used to mention “Tekka” to me, even though I did not know why it was such a special place to them. There is something really heartwarming whenever I hear the elderly relate stories of these places (which may have since been demolished) and observed how these are so intricately-linked to their life experiences. When The Verge officially opens later this year, I won’t be celebrating it. My thoughts will be on those elderly Singaporeans who shall no longer utter the name “tekka” and how this means that another part of our heritage has been erased – even from our lips. Change, indeed, has come to Singapore.